This simple yet tough design works well for the folks at Odom Atlanta. Rob is ready to send out the first mark. 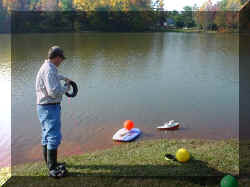 He uses a 4" pvc threaded end plug as a rest for the buoy on the body board. A shallow plastic bowl will work well too. The mark's anchor sits behind the ball. 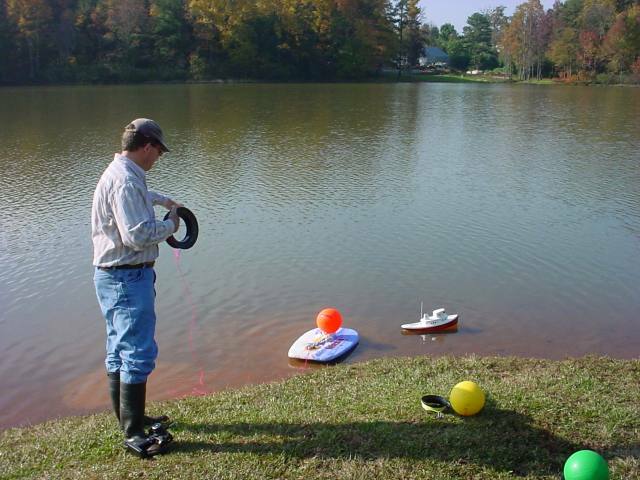 This is a slalom buoy from http://www.overtons.com. 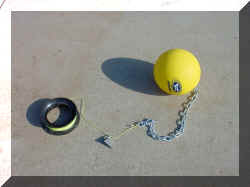 A length of chain gives the ball stability. The sliding 4-ounce lead weight anchors it in place. The reel stays on shore. 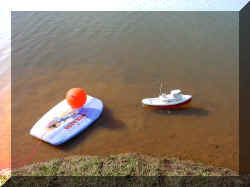 The nylon line sinks to the bottom of the lake. 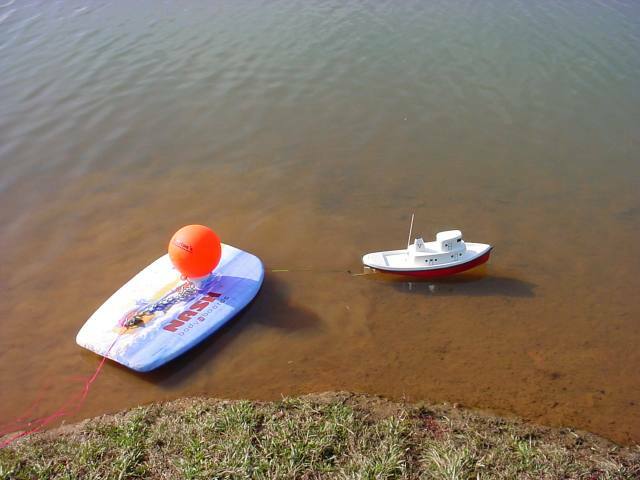 You may have to look in the "saltwater department" of your store for this size sinker. After a few uses, if the line doesn't want to sink as quickly, a little Windex sprayed on the reel will help the water soak into the line quicker. Frank P. found 37" x 2" x 18" body board at "Sports Authority". Apparently he likes to launch the whole course in one trip. The reels are Part HSY6BLK - Yo-Yo (Gator) Spool Like the Halo spool but one side is bent out 45 degrees so line will feed off quite easily.